HIStory review. Directed by Johnny Van Grinsven and featuring Dantonio Goodman. As the Michael Jackson HIStory Show began its run in Cape Town, MJ fans packed Artscape to see South Africa’s very own Dantonio Goodman perform as the King of Pop in Showtime Australia’s musical tribute. Many of us grew up listening to Michael Jackson, watching the music videos and imitating the dance moves – some local schools had entire shows themed on the music of the pop legend. Jackson made history in 2014, becoming the first artist to have a top ten single feature on the Billboard Hot 100 in five separate decades. The sheer global impact of his work on music, style and performance is unmatched and continues to inspire fans and artists today. 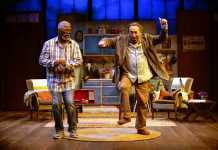 On opening night, excited chatter filled the Artscape Opera House as friends and families found their seats, half of us tipsy from having to down our drinks while the announcer was hurrying us into the theatre. The show was exceptionally dramatic from start to finish, with Dan lowered down onto the stage in a rocket-like pod and prancing out onto a set of stairs. Soon, we were swept into a magical performance complete with a live band, exceptional lighting and extraordinary moves from a diverse dance crew. When the director of the show, Johnny Van Grinsven, began his search for the perfect MJ, he auditioned many impersonators from around the world. Dantonio was selected based on his dancing prowess, his attention to detail and the technical abilities of his voice. Dan discovered Michael Jackson’s music at the age of eight, and went from playing his brother’s Thriller cassette tape into disrepair to getting disqualified from a dance competition at 16 under the assumption that he was a professional. He has a rare and complete combination of traits required to capture the persona of the King of Pop. Beyond bearing the appropriate skills and appearance, Dan’s appreciation of Jackson’s artistry brings a sense of the pop icon’s spirit to his performance, making the show a truly incredible and somewhat eerie spectacle. 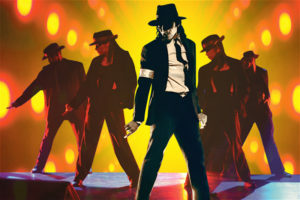 Fans can expect to see beloved costumes, experience MJ theatrics with dramatic lighting and cinematic sound effects as well as some fun interaction with the audience. Dan slides from slick moonwalking into familiar dance routines to jumping from various heights without a single hitch in his voice. 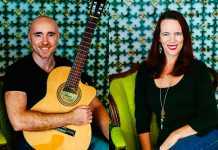 He seemed to gain more momentum as the audience began to stand and dance of their own accord and even walked down an entire row singing effortlessly while posing for selfies with delighted audience members. 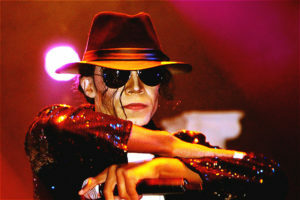 The show became so enchanting and believable that the occasional “I love you, Michael!” was met with a few smiles from the crowd and a tender, “I love you more” from the star of the show.